London's hub of cultural arts, The Southbank Centre announced in March 2013 that it's set for a £100 million revamp that will see the 1960s design finally move into the 21st century with a proposal that includes a floating glass pavilion, two more roof gardens, a space for riverside arts and a large pedestrian area. Currently, the centre is a classic example of brutal 60s concrete architecture. Everyone has an opinion (usually negative) on its distinctive design - famous detractors include Prince Charles, who once described it as looking like a "nuclear power station". Yet, if the The West End is the centre of popular culture in London, it is the Southbank Centre that is the centre of true excellence in the arts. 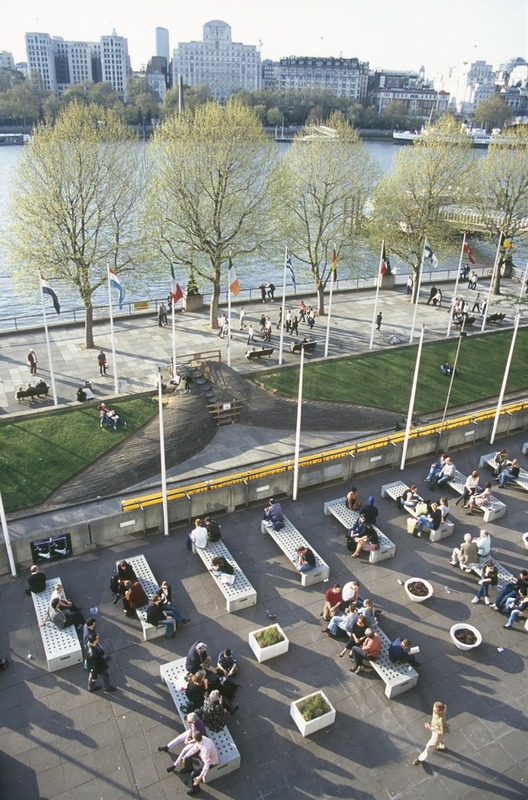 Comprising the Royal Festival Hall and the Hayward Gallery, the complex consistently produces classical and world music events and fine art exhibitions of high renown. Over 150,000 hours of music have been performed at the Royal Festival Hall - the largest venue in the Southbank Centre - since its completion in 1951. Welcoming over three million visitors a year, the Royal Festival Hall is primarily a classical music venue. It benefits from the residency of the London Philharmonic Orchestra, London Philharmonia and four associate ensembles. The programme also includes events from opera to the London Jazz Festival. The Queen Elizabeth Hall and the Purcell Room host regular recitals, dance performances and choral concerts. Free lunchtime concerts held in the foyer offer a more relaxed musical experience. The Hayward Gallery has been the originator or host of influential exhibitions since 1968. The colossal Poetry Library houses the Arts Council modern collection, while the BFI Southbank (previously the National Film Theatre) shows 2,000 films (art house and classics) a year alongside many film festivals and director-led seasons. A happy architectural accident has also made this complex the best spot for skateboarding and BMXing in the capital, meaning it is loved by London's counter-culture as much as by its highbrow elite. In the last ten years, the building of Tate Modern and the London Eye adjacent to the centre has been the final step in making the South Bank of the Thames into the beating heart of a thousand years of British culture. What are the best dining options near Southbank Centre London? Southbank Centre gyms, sporting activities, health & beauty and fitness. The best pubs near London Southbank Centre. Southbank Centre clubs, bars, cabaret nights, casinos and interesting nightlife. Where to have your meeting, conference, exhibition, private dining or training course near Southbank Centre. From cheap budget hotels to luxury 5 star suites see our discounts for Southbank Centre hotels, including Park Plaza County Hall Hotel London from 88% off.